So this book is a retelling of the first three books in The Lux Series: Obsidian, Onyx, and Opal from Daemon’s point of view, but only if you purchased eBook. The published paperback is only a retelling of Obsidian because it would’ve cost the publisher and the reader a lot more as the eBook is over 1,000 pages. 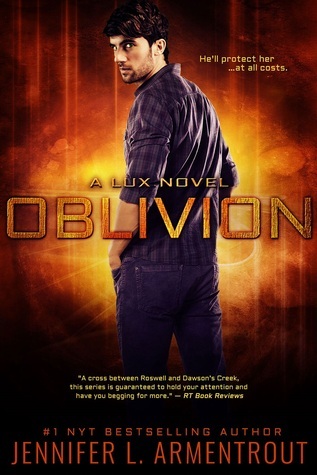 As I loved The Lux Series, it’s no surprise that I loved this retelling from Daemon’s point of view. When a book is told from one POV, I always wonder what the other characters are doing. Clearly we can’t have every single character in every single scene. This retelling is helpful because in Origin and Opposition we do get to read from both Daemon and Katy’s POV. It was nice to see a more well-rounded, fully formed Daemon. His attitude hasn’t changed- still the same narcissistic personality. But we do see the sweeter side of him. It is immensely helpful to finally understand where his brain is when he is making his decisions about Kat and his family. Great add to The Lux Series.